Are you one of those PLDT subscribers that has no time to pay your bills at the nearest PLDT Branches or PLDT accredited payment partners or facilities? This article might be the right for you. 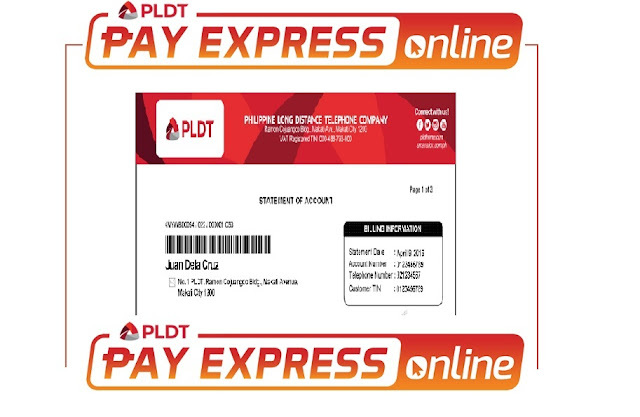 As one of the thousands of PLDT Fibr users, I recently discovered a payment option that I don’t need to go outside my house just to pay my PLDT Bills and here’s why? 1. Smartphone – to use this system payee must have a smartphone. 2. QR Scanner – download any version of QR scanner or barcode scanner at Google Play Store. 3. Latest PLDT Bills – All current bills are can be seen in your PLDT account or just wait for the latest bills mailed at your doorstep. 4. If you already have your latest bills, scan the QR Code at the right lower part of your bill. 5. After a successful scan of the QR code you will be directed to another link just simply open it. 6. Enter your 10 – digit PLDT account number and then click submit to proceed. 7. Now, you will be directed to Pay Express Online which shows your payment details, amount to pay and modes of payments. 8. Check the Terms and Condition and choose your payment options between Credit Card or Debit/ATM Card. (This option I choose Credit Card). 9. You will be directed to Peso Pay Services to choose on what type of card is your credit card? Its either VISA or Mastercard? 10. You will be directed to another link again to add your credit card details such as credit card numbers, expiration date, name of the credit card holder and card verification number. 11. Review your payment details if all are correct, click OK to proceed to another link. 12. Wait for a few second to process your payments. 13. If Payments are successfully a confirmation link stating your payments is completed and an options showing that you can either print your transaction or if you want, just click continue to choose email options so all the transaction can be emailed to your email address. 14. A pop up message showing the Email was sent successfully and that’s it. Take note: If you used GCASH MasterCard as your credit card payment options you may also receive a text message confirming your latest GCASH transactions. No Comment to " How to Pay PLDT Bills through Pay Express Online "